Some of the warrants stretch back years,with the majority issued between 2000 and 2011. Nearly 124,000 Garda arrest warrants are waiting to be executed across the country, figures released last night reveal. In reply to a parliamentary question by Labour TD Kevin Humphreys, Justice Minister Alan Shatter said that 123,696 warrants remain unexecuted. The majority of the warrants apply to the Dublin Region, with 46,000.It is followed by the southern division with 15,523 and the western, with 13,902. A total of 123,969 warrants are outstanding nationwide. “Ordinary law abiding people, especially those in working class areas that suffer most from crime, need to be assured that committal warrants for convicted criminals are carried out quickly, and that bench warrants for missed court appearances are acted on” said Labour TD Kevin Humphreys. 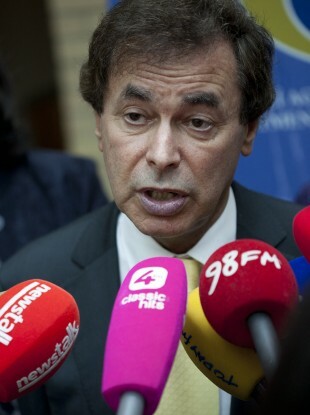 Minister Shatter said that the vast majority of warrants do not relate to violent or more serious offences, which are given priority. He said he would be asking the Garda Commissioner to report back in six months in relation to outstanding warrants and whether any legislative or administrative changes needed to be enacted to clear the backlog. “Much of the figure is made up from outstanding penal warrants, issued under the Road Traffic Acts, public order and theft offences, and we must ensure that these un-served warrants that may be years old don’t clog up the system for Gardaí tackling serious crime” said Humphreys. The information was based on the number of outstanding warrants on the Garda PULSE system on May 21 last. Email “Almost 124,000 Garda arrest warrants outstanding ”. Feedback on “Almost 124,000 Garda arrest warrants outstanding ”.